With South Korea’s recent entry into the Central American Bank for Economic Integration, Costa Rica -- the multilateral institution’s founding member -- looks forward to stronger trade and investment ties with Korea, its embassy told The Korea Herald. Seoul entered the bank on Dec. 28, becoming its second-largest extraregional partner. CABEI President Dante Mossi and Korean Vice Minister of Economy and Finance Lee Ho-seung signed the agreement in the administrative capital of Sejong. The bank, whose main purpose is to lend institutional and financial support to Central American public and economic entities, represents a market of more than 60 million people throughout the Central American and Caribbean region. It is also tasked with facilitating trade and investment ties between the region and its global partners. Costa Rica and Korea are also in the implementing stage of their free trade agreement, which was signed on Feb. 21 last year. 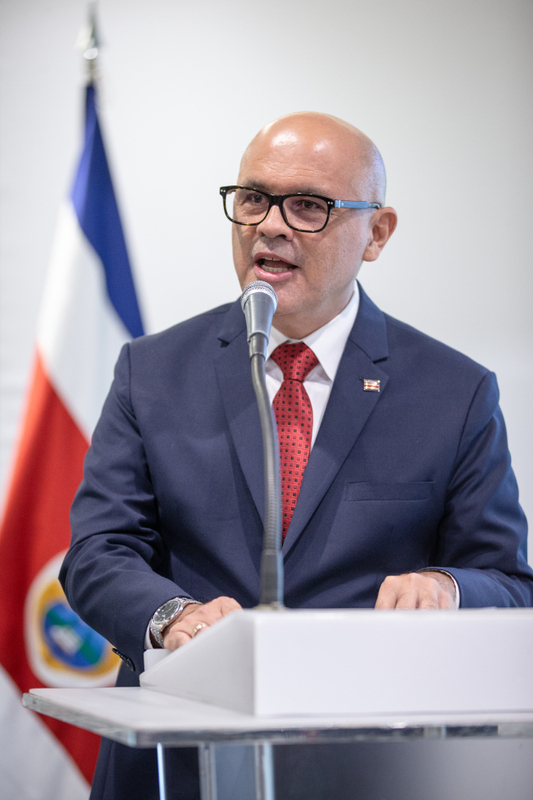 “Implementing the FTA will allow Costa Rica and Korea to improve their economic and commercial standings by capitalizing on their competitive advantages and economic complementarities,” Costa Rican Ambassador to Korea Rodolfo Solano Quiros said. Seoul remains a strategic partner of San Jose, he noted, adding that the prospective bilateral accord includes regulations on supporting micro, small and medium-sized enterprises, promoting a positive business climate, exchanging information as well as improving sanitary and phytosanitary requirements. According to the Economic Commission for Latin America and the Caribbean, Costa Rica has reached record-level trade and investments last year, the culmination of 40 years of export-led strategy combined with the joint efforts of the nation’s public and private sectors. The report shows that Costa Rica has diversified its economy while exporting over 4,390 products to more than 150 economies worldwide, represented by more than 2,400 national companies. The strategy has also generated 680,000 jobs. Costa Rica’s main export items include electronic components, biomedical devices, software and agricultural produce. These exports amount to roughly 34 percent of the Costa Rican gross domestic product, according to the diplomatic mission.